Connacht Rugby have formally submitted a planning application to Galway City Council for the redevelopment of the Sportsground Stadium. The planning application comes after a detailed design process and extensive public consultation carried out in conjunction with technical advisers, TOBIN Consulting Engineers and Chapman Architects. The public consultation has included a stadium composition survey, briefings to elected officials, establishment of designated email address to deal directly with submissions, individual and group meetings with residents, a public engagement session held in the Connacht Hotel in October and an extensive media campaign. The submission coincides with the official launch of the Government’s Large Scale Sports Infrastructure Fund which opened last week. The Sportsground redevelopment will cost in the region of €30m and the allocation of public funds is an essential component to the delivery of the project. 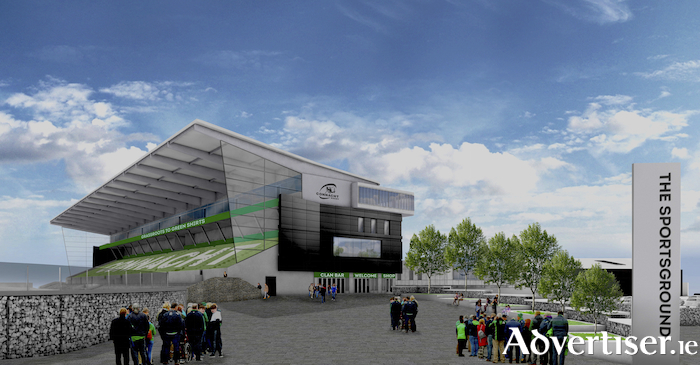 Commenting on the progress of the project, CEO of Connacht Rugby Willie Ruane said that following the design phase and extensive engagement and consultation with the public they have now formally submitted our planning application to Galway City Council for the redevelopment of the Sportsground. “Since the public announcement of the project in early October, we have received widespread support from the public and elected representatives for the development of the stadium and delivery of a high performance training centre. Our public consultation has also allowed us to really engage with local residents and address issues or observations that they raised”,” he said. Welcoming the official launch of the Government’s Large Scale Sports Infrastructure Fund added that he welcome the launch of the Large Scale Sports Infrastructure Fund, which the Government announced over the past few weeks. “We have already presented an outline of the project to members of the Oireachtas including the Taoiseach Leo Varadkar, who has been supportive of the development and of its strategic benefits to the entire region. The scheme outline sets out the need for regional distribution of the fund along with the need to develop multi use facilities, making the Sportsground an ideal location for development. Our formal submission for public funding will be made in line with the application criteria,” he said.